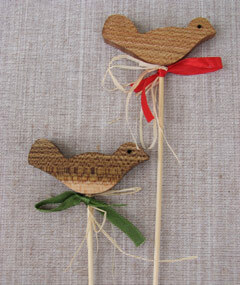 We provide wooden souvenirs for different events and occasions. There can be the lettering of your compliments and wishes. We produce all kinds of key fobs by request – different in shape and size. This wiseacre monkey help you easier to find the keys. This is a great wooden pendant for keys. These figures are warm and symbolic gift for a friend. They can also serve as a Christmas Tree decoration. It is a "go-to-sleep" toy. Hung over the bed the toy compels child’s attention. At the day time kitten can go for a walk; by the night time kitten climbs up to the moon – it means that it’s a time to sleep for a child too. 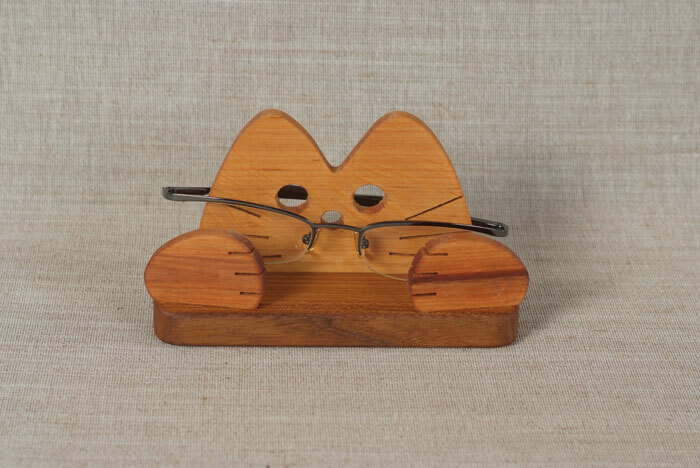 16 pencils can be held in the cat form pencil stand. 6, 12 or 15 pencils can be held in these duchshund form pencil stands. Greetings, wishes for Your friends can be engraved upon the desirable item.